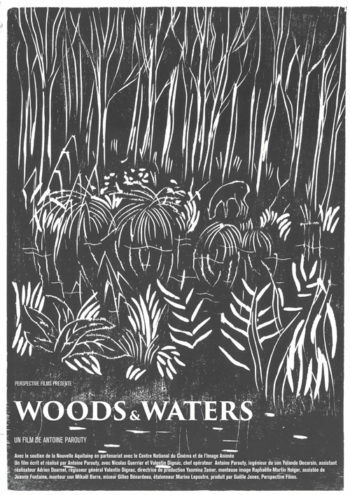 Woods & Waters is a landscape film. Between scientific documentary and poetic essay, the film is a tribute to the photographic work of the American George Shiras, pioneer of wildlife photography at the end of the 19th century. A film written and directed by Antoine Parouty / Produced by Gaëlle Jones – Perspective Films / With Nicolas Guerrier et Valentin Dignac / Cinematographer Antoine Parouty / Sound Yolande Decarsin / Assistant director Adrien Dournel / Location manager Valentin Dignac / Production manager Yasmina Tamer / Editing Raphaëlle Martin Holger / Assisted by Jeanne Fontaine / Sound editing Mikaël Barre / Mix Gilles Bénardeau / Colorist Marine Lepoutre / Graphist Maud Ayuto. With the participation of Région Nouvelle Aquitaine.